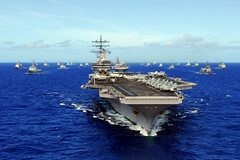 The aircraft carrier departed from the Southern California operating area June 18 to participate in exercise Rim of the Pacific (RIMPAC) in and around the Hawaiian Islands. 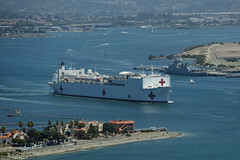 The hospital ship departed San Diego June 16 for the biennial Rim of the Pacific (RIMPAC) exercise in Hawaii. 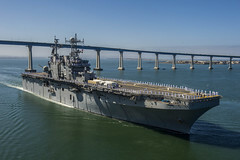 The amphibious assault ship got underway June 17 for a deployment that will include participation in exercise Rim of the Pacific followed by operations in U.S. 7th Fleet. 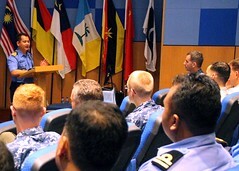 The 20th edition of exercise Cooperation Afloat Readiness and Training in Malaysia formally kicked off June 16 with an opening ceremony at Lumut Naval Base. 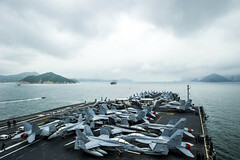 The George Washington (CVN 73) Carrier Strike Group (GWCSG) anchored in Victoria Harbor, Hong Kong, June 16 for a port visit. 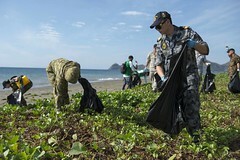 In an effort to build community relations and improve the local environment in Dili, Timor-Leste, participants from Pacific Partnership 2014 conducted a beach clean up with local environmental youth groups June 14. 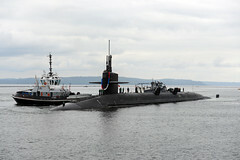 USS Pennsylvania (SSBN 735), with its Gold Crew aboard, returned home to Naval Base Kitsap-Bangor June 14 following a 140-day strategic deterrent patrol, setting a new record for the longest patrol completed by an Ohio-class ballistic missile submarine. 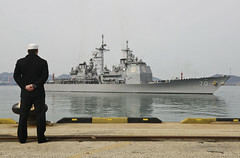 The guided-missile cruiser will return June 16 from a four-month deployment to the Western Pacific, its last from Pearl Harbor before a homeport shift to San Diego. 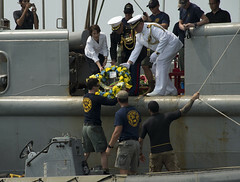 Deputy Chief of Mission Kristen Bauer, U.S. Embassy Jakarta, joined U.S. and Indonesian navy divers aboard USNS Safeguard (T-ARS 50) to lay a wreath at the site of the USS Houston (CA 30), June 11. 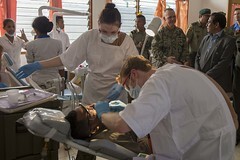 The Timor-Leste phase, which kicked off during a ceremony June 12, will include include medical and dental information exchanges, civil engineering programs and and other activities with the local community.